Classics on Hudson is dedicated to serving the Hudson community through engaging education programs that promote a lifelong love of music for all. 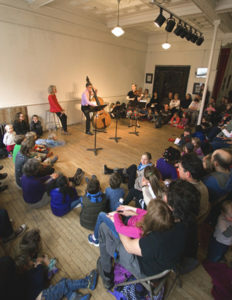 We are especially grateful for the generosity of the Greene County Council on the Arts for its support of our Family Concerts at the Hudson Opera House in 2015, 2016 and 2017; to the Berkshire Taconic Foundation for its support of Music Mentors at the Montgomery E. Smith Middle School of the Hudson City School District in 2015 and 2016 and our concert series in 2017; and to the Stewart’s Shops Holiday Match Program for its support of our Outreach efforts to the children of the community in 2016 and 2017, and the ongoing generosity of The T. Backer Fund..
Music: Saint Saens, Carnival of the Animals,Honegger, Ridout, Prokofiev and more. 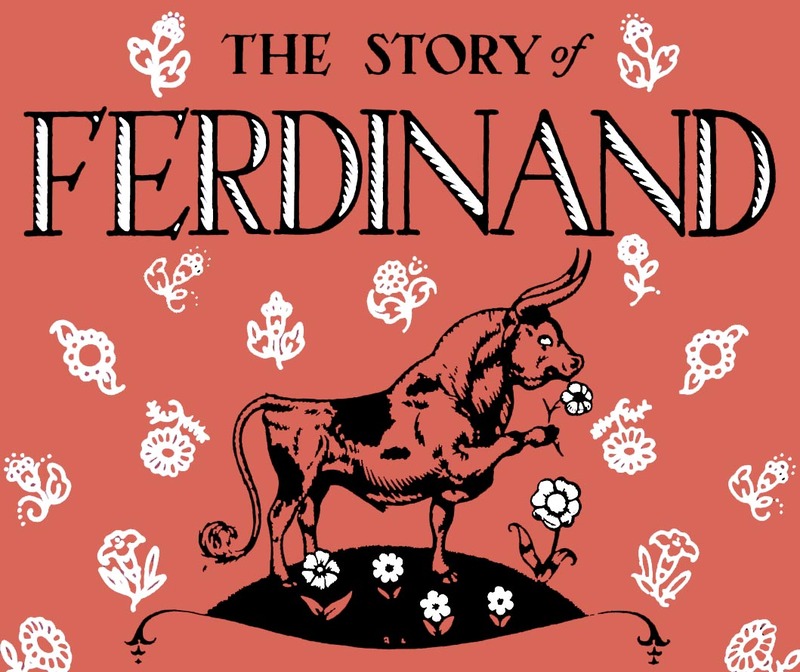 Ferdinand and his raucous coterie of furry and feathered friends in this enchanting journey through classic tales. Will Peter escape the wolf? Will the goat dance away the snow? Can the elephants keep up with the carnival procession? These colorful creatures will be brought to life with a violin, flute, double bass and narrator. 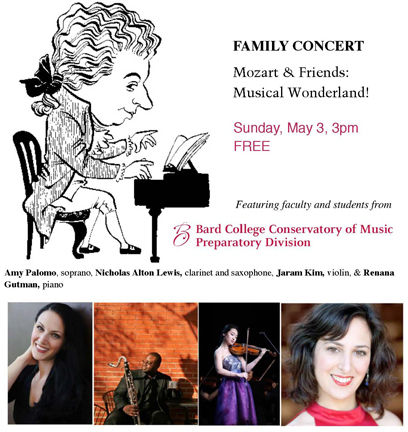 Music by: Stravinsky, Gounod, Brahms, Donizetti, Schubert, Gade, Liszt, Stephen Schwartz, Mozart, Erwin Shulhoff, Rogers & HammersteinConservatory. This program invites five exceptional young musicians to engage with students through a residency at a Hudson public school. 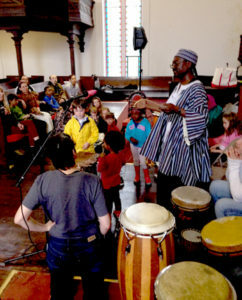 In the spirit of partnership and exchange, Music Mentors works with students in preparing a collaborative performance. Here are the musicians who collaborated in the 2016 program, followed by video of two sessions.